The official trailer is here for upcoming British feature film VS., starring our brilliant CONNOR SWINDELLS in the leading role. Watch it below. 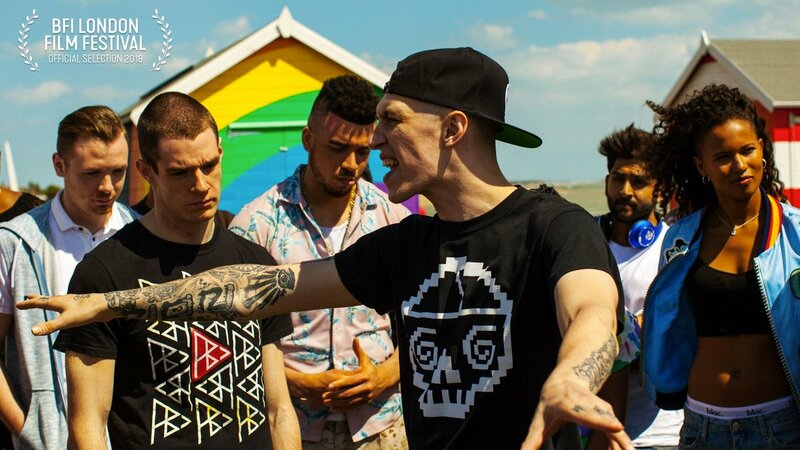 An urban rites-of-passage drama set in the hostile and exciting UK rap battle scene, VS. follows troubled foster teen Adam (played by Connor) who combines his scathing word skills, sharp lyricism and aggression to become an unlikely rap battle champion and controversial fan favourite. But when he gets caught up in his own hype and seeks out his biological mother after twelve years in care, he’s forced to accept who he really is and face his toughest opponent yet: his past. In VS., director Ed Lilly creates a dynamic world full of action, humour and roasting. Touching on themes of family, gender and sexuality, the film is replete with a series of unpredictable turns that challenges the posturing machismo image of the battle rap scene. HH clients KIERON BIMPSON and KOLA BOKINNI also star in the movie as Joe and Rulez, respectively. VS. is released in UK cinemas on October 19 and will receive its world premiere at this year's London Film Festival.